Chico, CA and Philadelphia, PA (May 10, 2016) — United By Blue and Klean Kanteen, leaders in socially responsible business practices and manufacturers of active lifestyle products, are proud to announce they will be joining forces in the name of clean water. United By Blue, a sustainable apparel and accessories maker, will partner with Klean Kanteen, the leader in reusable stainless steel food and beverage solutions, to release a series of five co-branded, stainless-steel products that, with each purchase, will remove a pound of trash from a river or ocean. The collaboration will hit stores in mid-July. Rooted in mission-driven DNA, both United By Blue and Klean Kanteen are Certified B Corporations; for-profit businesses that meet rigorous standards of social and environmental responsibility, accountability, and transparency. Coming together for the first time, United By Blue and Klean Kanteen are eager to combine company resources toward a shared passion: the reduction of single-use plastics and commitment to clean water. To kick-off the partnership, United By Blue and Klean Kanteen will participate in a full-day clean-up of Big Chico Creek with Klean company employees on Friday, May 13. Klean Kanteen will also donate 2500 insulated stainless steel pint cups to volunteers from across the country who participate in 2016 United By Blue clean-up efforts, with 35 scheduled nationally for the remainder of 2016. “Klean Kanteen is excited to partner with fellow B-Corp United By Blue, to inspire grassroots action around issues we’re both passionate about: single use waste and clean water. A longtime 1% for the Planet member, our philosophy has always been grounded in environmental stewardship. As a business community, strength in numbers is incredibly important. 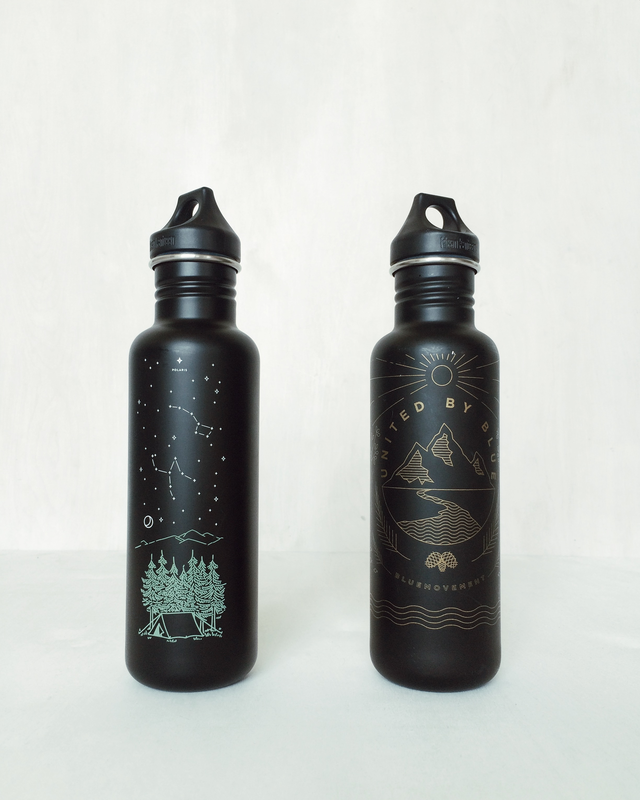 Together with United By Blue, we can help people to take an active role as stewards to our planet and give back to the places we live and play,” says Michelle Kalberer, Co-Owner of Klean Kanteen. Upon founding United By Blue in 2010, company founders wanted to instill a permanent culture of stewardship around healing our waterways and oceans. By associating each product sold with the removal of one pound of trash from waterways, United By Blue unites this mission with business objectives. United By Blue does not write checks or accept donations; rather the company fulfills the pledge through company-organized and hosted cleanups. Since 2010, United By Blue has hosted 147 cleanups in 23 states, with more than 4,000 volunteers removing 280,000 pounds of trash. We believe in creative solutions, great coffee, thoughtful design, and finding adventure every day. We also believe that every living creature is united by the blue of our world's oceans and waterways, and we all share the responsibility to protect them. As a for-profit business we have the power to help heal our oceans. By associating each product sold with the removal of one pound of trash from waterways, we unite our beliefs with our business. We do not write checks. We do not accept donations. We fulfill our pledge through company-organized and hosted cleanups. United By Blue products can be found in more than 300 outlets nationally and our own brick and mortar coffee house & clothier locations in Philadelphia. For more information visit UnitedByBlue.com. A leader in BPA-free, stainless steel drinkware and food transport, Klean Kanteen is family owned and operated, with distribution in 40-plus countries worldwide. With environmental stewardship and fair labor central to the company’s philosophy, Klean Kanteen is in Business for Good™. Since 2008, Klean has donated over $1 million in sales to environmental organizations working towards positive change through 1% for the Planet. From non-profit partnerships to grassroots events, Klean works closely with values-aligned companies and organizations to support efforts toward health, the reduction of single-use plastic, and environmental education and awareness. In 2012, Klean Kanteen proudly became a B Corporation, certified by the nonprofit B Lab to meet rigorous standards of social and environmental performance, accountability and transparency. For more information, please visit www.kleankanteen.com.